I hope you had a great weekend. I fell in love with this sweater the moment I laid my eyes on it. Not only do I have a slight obsession with anything french, but the saying reminds me of the 90's song, C'est La Vie by B*Witched. Incredibly cheesy looking back on the video, but brings back a few hilarious memories! Who's with me?! Oh my gosh..yes!! I totally remember that song! The top and the skirt are beautiful. I've been eying leather skirts for a while now, and this one is fantastic! ohh my gosh B*Witched, soo classic! I love this whole outfit, but those shoes are most definitely on my wish list! 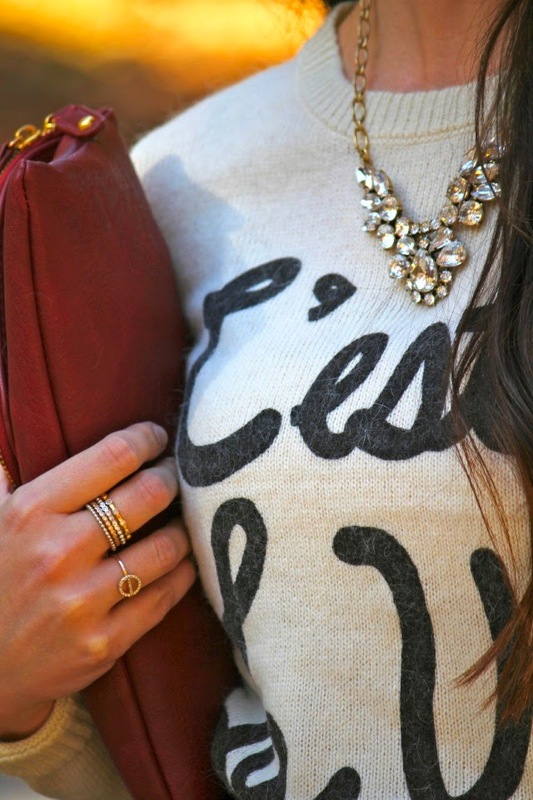 so cute and I adore those rings! Love this look!! 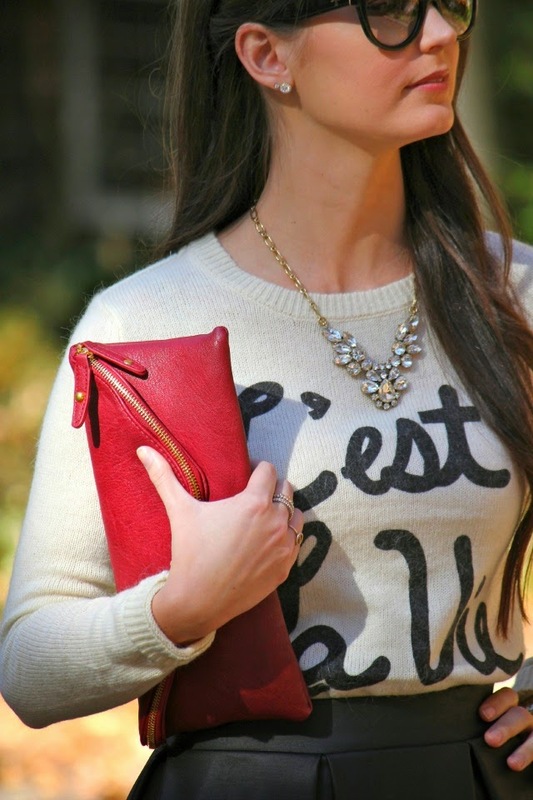 So pretty and perfect for fall! Love this girl! Totally reminds me of that song too! This outfit is absolutely adorable!!!!! LOVE this look and that sweater is too cute!!! I loved that song! It's so happy. Love this look, that skirt is so fun! Love this look! What a fun sweater!